You’ve read their bestselling novels and memoirs. 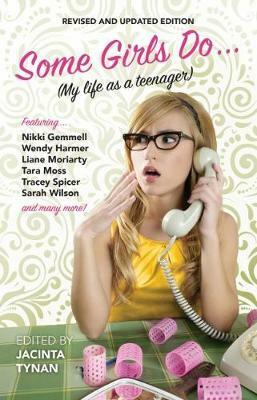 Now Australia’s favourite female writers recount the true stories of their teenage years in this bumper collection. Remember your high school formal, your first love, first kiss, first bra, and the first time you realised your parents weren’t always right? Relive the joys (and the horror) of your adolescence with Some Girls Do, as our most inspiring and accomplished writers reveal how they survived those challenging years. Whether it’s adolescent angst, first crushes, being a rock groupie, battles with anorexia, or deciding to become a nun, these women prove that while the teenage years are not necessarily the best, you can survive to tell the tale. The result is a wonderfully funny, moving collection of memories, of different times and different lives, told with honesty, insight, sensitivity and humour. No two experiences are the same, because while some girls don’t have a care in the world, real or imagined, some girls do. Featuring stories from Nikki Gemmell; Wendy Harmer; Sofie Laguna; Kathy Lette; Liane Moriarty; Di Morrissey; Tara Moss; Debra Oswald; Lisa Wilkinson; Sarah Wilson, and many, many more.